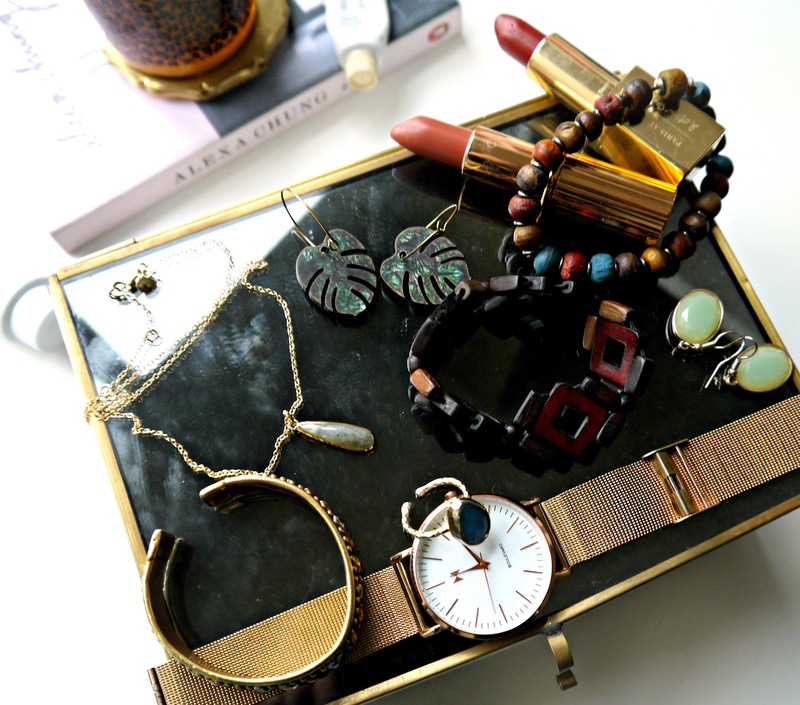 I talk about jewellery a lot over here on my little slice of the internet. 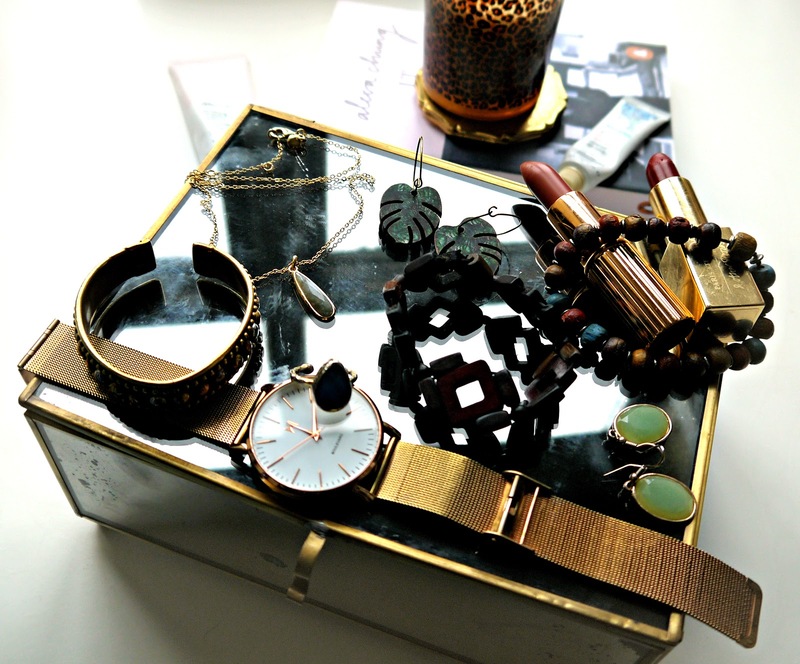 Heck, there's even a a whole section of my blog dedicated to jewellery. I've spoken at great lengths about how I began an affinity with treasures and trinkets, but rarely why I love stacking multiple bracelets and adorning each finger with a weighty ring. Above, are the pieces I am currently wearing everyday, probably because there is a story behind them all. 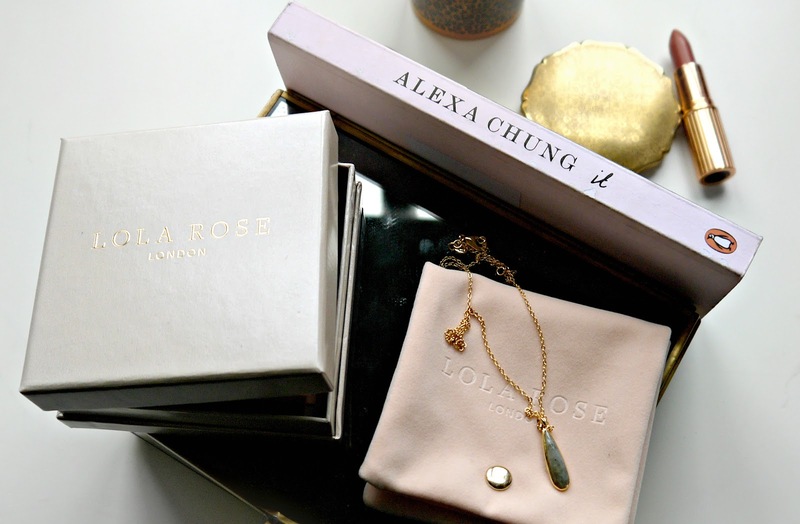 Whether it be a gift from a friends travels to The Alps, a ring sourced on a romantic walk down Portobello Road, or a bracelet from the hippy market in Ibiza - I like to wear each piece to remind me of someone, or somewhere. 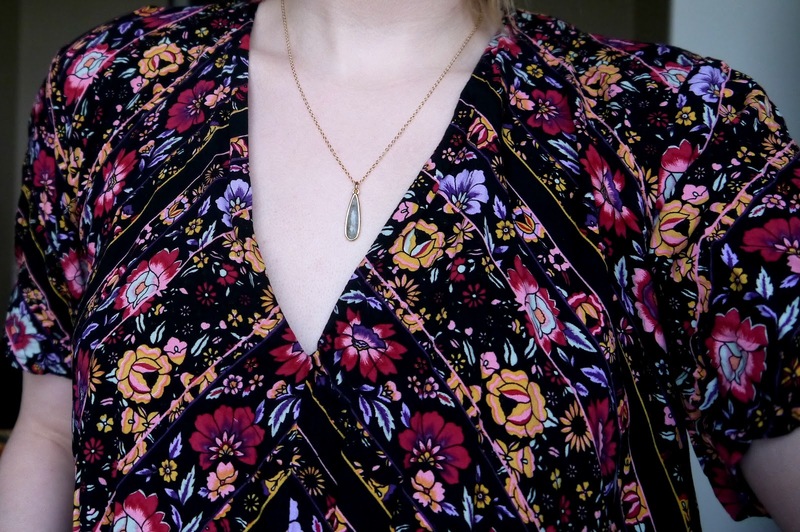 The most recent piece in my collection is a necklace from Lola Rose. And whilst this is a relatively new necklace in my rotation, it marks a significant wind of change in my life. Changes that I hope will align with a new beginning that is just on the horizon. I'm trying to go for a more fuss-free approach to the way I dress and the way I organise my house - even my desk at work. Instead of the loud and bold approach to life and accessorising that I usually take - I am going for something a little more pared back to see if it helps unlock the clutter in my brain. 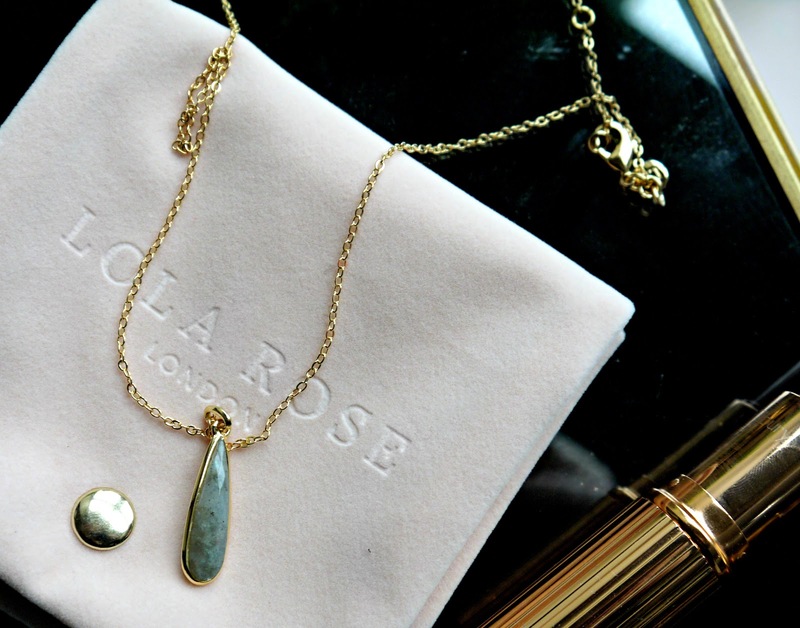 This is why the Lola Rose Nocturne Teardrop Pendant featuring a delicate Labrodite stone is the perfect everyday necklace to compliment my new, cleaner way of thinking. It's simple, understated and gracious. On a side note, how beautiful is the pastel pink packaging? Fits in pretty well around here huh?